As Luke tries to make sense of his near-death experience, he secretly turns to Hannah, who becomes his biggest confidante. In Luke, Hannah finds someone she can finally talk to about all the questions she's grappling with. Emory just wants everything to go back to normal-the way it was before the accident. She has no idea why her relationship is spiraling out of control. 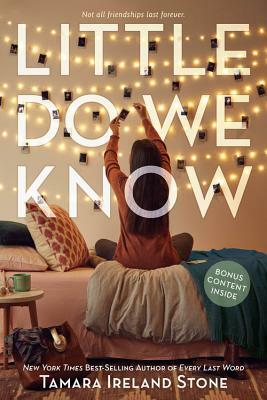 But when the horrifying reason behind Hannah and Emory's argument ultimately comes to light, all three of them will be forced work together to protect the person with the biggest secret of all.